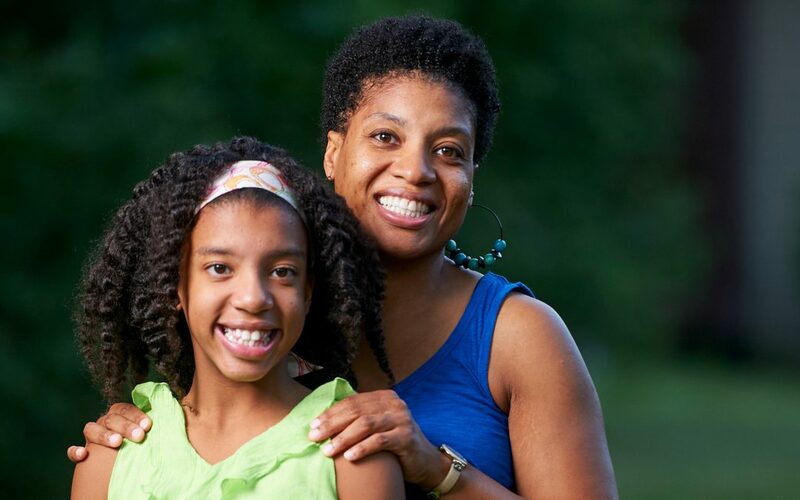 Tiara and her mom, Jaymie, found the home, hope, and healing their family needed at Gracewood. Since graduating from the residential program, they have been doing so well! Tiara was recently chosen to deliver a very special speech at her school and we are so proud of her leadership! We asked her to share the story with you in her words, which you’ll find below. What do you love about Gracewood? Gracewood was a fun experience because I was able to connect with other children that were going through the same experience that I was. Another reason the program was sensible is because it provided a relaxation and restoration for my mom and helped provide good strategies and tactics to carry on even out of Gracewood. What kind of changes have you seen in your mom since moving to Gracewood? My mom was very relieved when we found the program. I was scared at the beginning because I didn’t fully understand what we were going through, but I know that looking back my time at Gracewood was an amazing healing period for the both of us. My mom has improved in her budgeting and financial skills, her morals and values have progressed, and her peace and joyfulness are more radiant than ever. Gracewood was a very humbling experience and taught the both of us the importance of family and planning. Tell us about being chosen to speak at your school’s commencement service? Each year a seventh-grade student is chosen to speak at the annual eighth-grade graduation. The seventh grader that is chosen than must write an original speech and revise it with the teacher providing assistance with the process. How did it make you feel? Were you scared? When I heard that I was chosen to speak I was a little nervous but very pleased that they chose me. I received a copious amount of help and support from my amazing teachers. The feeling of being chosen for something that I am good at and something that I enjoy was very internally rewarding. At the ceremony, I received the opportunity to talk about my personal relationship with the graduating students, as well as the impact that they will leave in the school. I also spoke specifically to them about their ongoing journey and what is the come. Why did they choose you to speak at this event? It sounds like a big deal! As well as being recognized at a regional level for public speaking two years in a row, I was also chosen by the eighth graders and my teachers by a voting system. I believe I was not only chosen for my awards but as well as my outgoing personality. But most importantly, God brought me to where I am today, and I believe I was chosen for His purpose.